A signature cocktail is the perfect way to put a personalized touch on your wedding libations. Guests can loosen up with delightful mixology magic with fun and fizzy or smooth and classic options. Raise a glass and check out our favorite cool and colorful signature summertime cocktails. A signature cocktail should always be two things - sparkly and refreshing. That’s what makes the St. Germain Spritz simply perfect for a wedding celebration. Make this drink your own by choosing your favorite floral or fruit for serving. Nothing says sweet summertime like a whiskey lemonade with a signature blackberry twist. Serve up this colorful cocktail at your outdoor wedding this summer. Large batch drinks like punches are some of the easiest and most delicious libations to serve at your reception. Your guests can rose all day with this simply sweet rose punch. This classic bourbon cocktail makes the most of fresh fruits and herbs. This made-from-scratch rosemary bourbon sour will impress and refresh your guests. If you’re looking for a crisp and elegant signature cocktail, the French 75 is your go-to summer drink! This sweet sipper not only tastes great but looks amazing too. Rum and fresh mint make for the perfect pair (just like you and your spouse) in this classic cocktail with a twist. 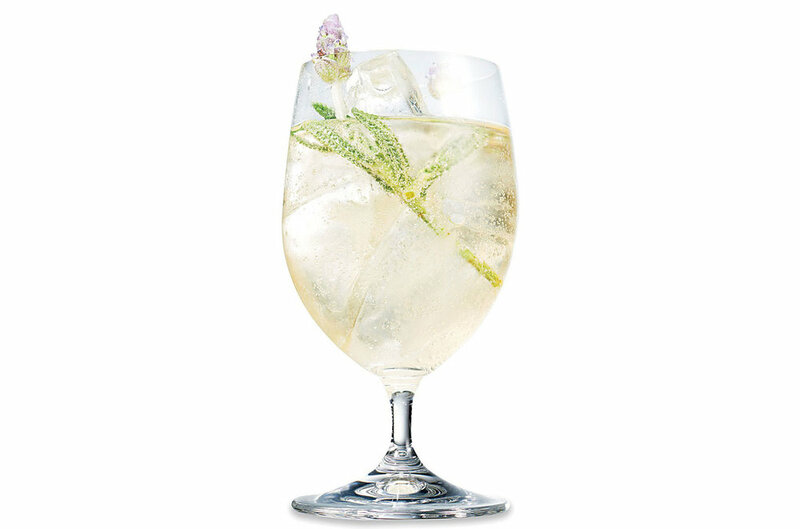 Serve in a chilled champagne glass with fresh mint. This lemony cocktail is so simple with just two ingredients. If you love limoncello this signature cocktail with an Italian twist is just for you! Once you’ve selected your signature cocktail, set up the bar with a stylized menu showcasing your cocktails ingredients so guests can choose between the signature cocktail or other drinks provided at the bar. If you and your spouse don’t imbibe, consider a signature mocktail instead. All that’s left is to create a cute personalized name and make it into your very own signature cocktail! When coming up with a name for your signature wedding drink embrace cute puns with wedding related words. If your signature drink is an old fashioned, call it Something Old Fashioned. Serving a blush colored drink? Call it the Blushing Bride. Get creative and make it uniquely yours. Raise a glass with your very own cocktail combination and toast to the beginning of a long and happy marriage!